This morning I made an etching based on a sketch of St Bartholomew the Less. 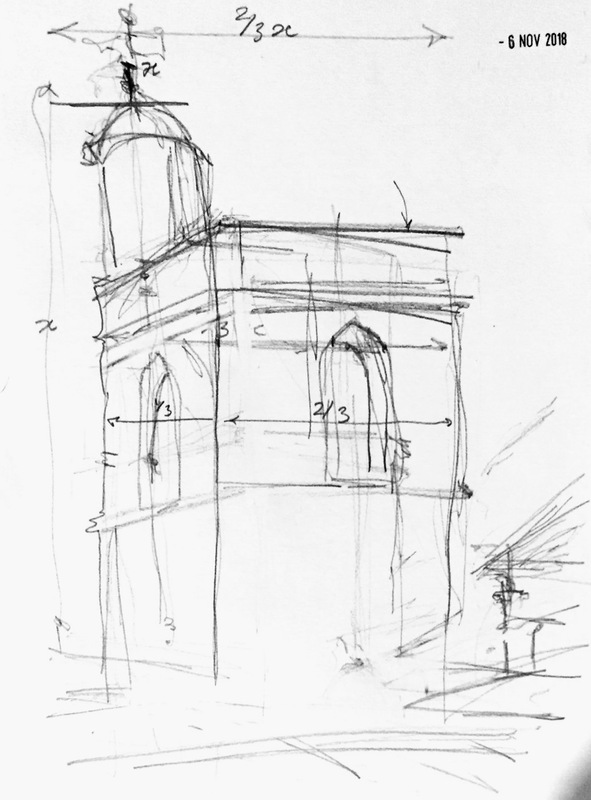 Here’s the original sketch, which was made from the top of Maggie’s Centre in St Bartholomew’s hospital, by kind permission of the staff of the Centre. The plate needs a bit more work I think. The background could be darker and perhaps some shading on the tower itself. My idea is that I will print it with perhaps chine-collé. So I want to keep the design simple. I just had the morning at the print studio today. The paper is Chinese paper from Great Art. Numbers 11369 (soft), and 11565 (white, with a slight grid). The ink is Intaglio Printmaker Shop Mix Bone Black. The plate is 10cmx15cm copper plate from Great Art, which I prepared with hard ground 28 June 2018. I used the Rochard press at East London Printmakers.